Wrap the rope around your hand twice. At the end of turn one, position the rope close to your fingertips. Continue around and complete turn two back near your thumb. Pick up the turn near your fingertips. Wrap it around the other two turns. 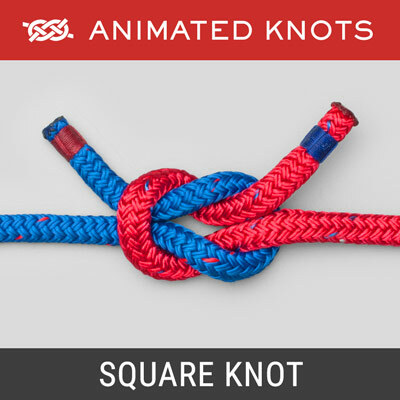 Slide the knot off your hand and tighten by pulling on the loop and the ends. Features: What is now known as the Alpine Butterfly Loop was described twice by Ashley: Lineman’s Loop (ABOK # 1053, p 191); and Harness Loop (ABOK # 532, p 87). 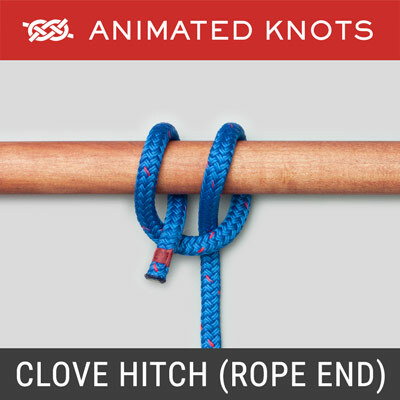 It provides a secure loop in the middle of a piece of rope. Load can be safely applied: from the loop to either end of the rope; between the two ends with the loop hanging free; or to the loop with the load spread between the two ends. Uses: The Alpine Butterfly Loop is useful anytime a secure loop is required in the middle of a rope. A good example is when a line of hikers wish to hook on along the length of a shared rope or as a possible option for the first part of a Trucker’s Hitch. Also, if a length of rope is damaged, it is a wonderful way to isolate the damaged section so that the rope may still be used – far safer than the Sheep Shank. 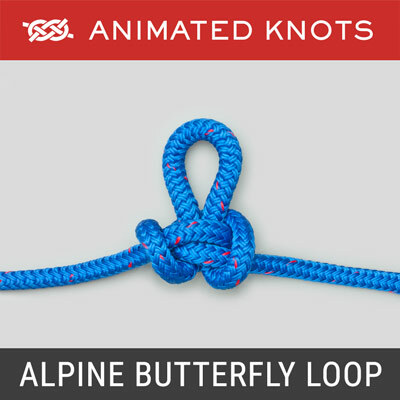 Tying it: There are several methods for tying the Alpine Butterfly Loop. We devised the method that is used in the animation. It is an improvement on other “hand-winding” methods. It helps locate the loop: the second crossing of your hand is near your fingertips and away from the other two turns. This helps you to locate it, pick it up, and wrap it around the other two strands. 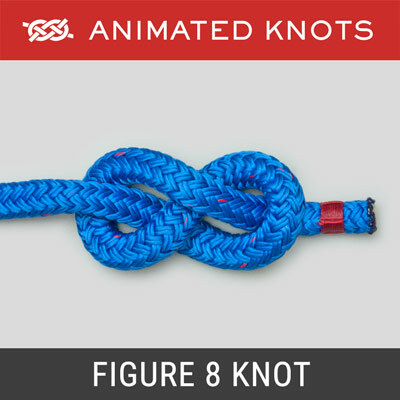 Setting the knot usually requires holding the loop in your teeth and pulling both ends with your hands. 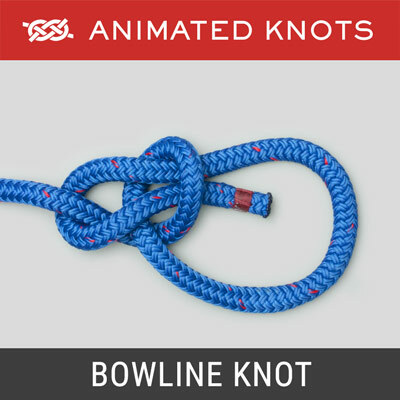 Advantages: The Alpine Butterfly Loop is more stable than either the Bowline on a Bight or the Figure 8 Loop – both of which may roll over. Even after a heavy load, the Alpine Butterfly Loop remains reasonably easy to undo. 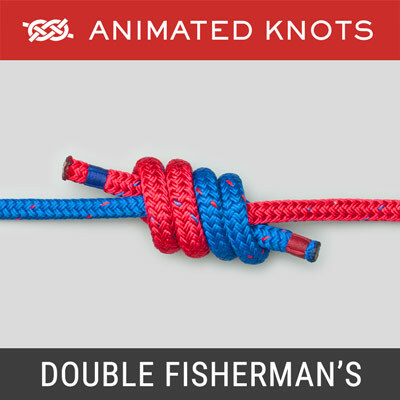 In addition, it teaches the technique for tying the Alpine Butterfly Bend. This familiarity is one of the reasons that we prefer the Alpine Butterfly Bend over the other similar bends such as the Zeppelin, the Hunter’s, and the Ashley.